This 39-mile trail follows an old abandoned railroad grade between the cities of Pengilly and Alborn in northeast Minnesota. Traveling through wooded bogs and upload forests, riders cross old railroad trestles that offer scenic views of the streams and rivers below. The flat grade and little terrain variation are ideal for beginners. 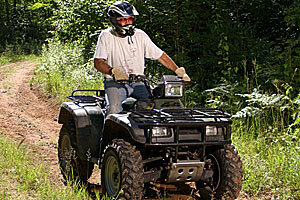 Trail maintenance is provided by Itasca County and the Range Riders ATV Club. Parking and trail access along road right-of-ways within Alborn, Meadowlands and Pengilly.